If the process of creating 2D drawings and 3D models is not core to your business, it might make sense for you to outsource this activity to a firm that has the scale and experience to deliver world class quality. Design Presentation’s outsourcing services team provides a full range of CAD design and drafting services. We provide AutoCAD design and drafting services for architectural, civil, HVAC, electrical, fire protection, landscape architecture, plumbing, structural steel detailing and mechanical fabrication. 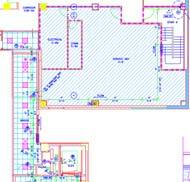 We offer CAD conversion services (raster to vector) using AutoCAD, MicroStation, VectorWorks and many other tools. You can send in your input as hand drawn sketches (scanned into a TIFF or PDF file). We can provide outputs that are fully compliant to your standards (including linetypes, line weights, and usage of blocks). We follow appropriate procedures for proper layering (including AIA layering standards, or any other conventional layering that you may specify) in DWG, DXF or DGN formats. 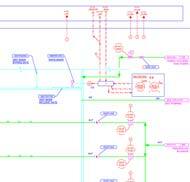 The final output is editable and will be in DXF, DWG or DGN formats (we re-create each drawing as a new file). Send us your concepts by fax or e-mail and we will deliver the CAD output by e-mail or via our FTP site. We can usually turn around your job overnight.